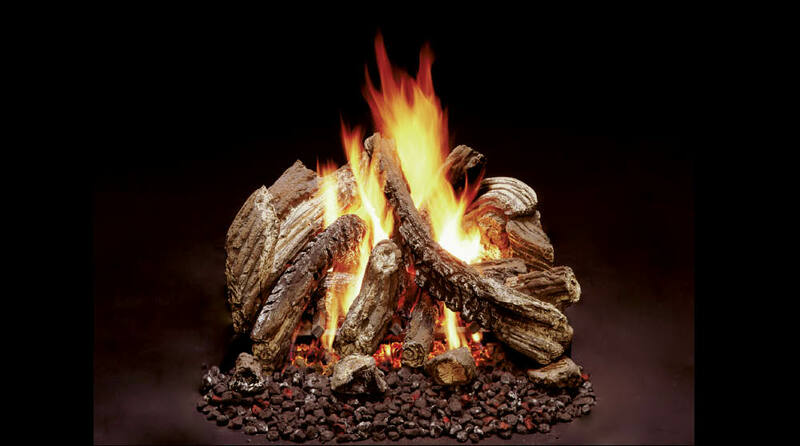 Gas logs provide additionaL source of heat and light to your home during power outages; no electricity is needed. Certified in Canada and U.S. to CGA 2.26 and ANSI Z21.60. 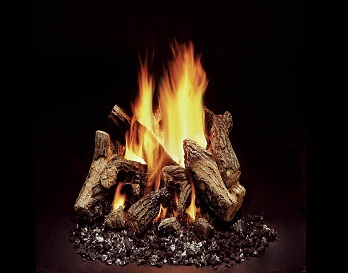 Suitable for installation into a solid fuel burning appliance. 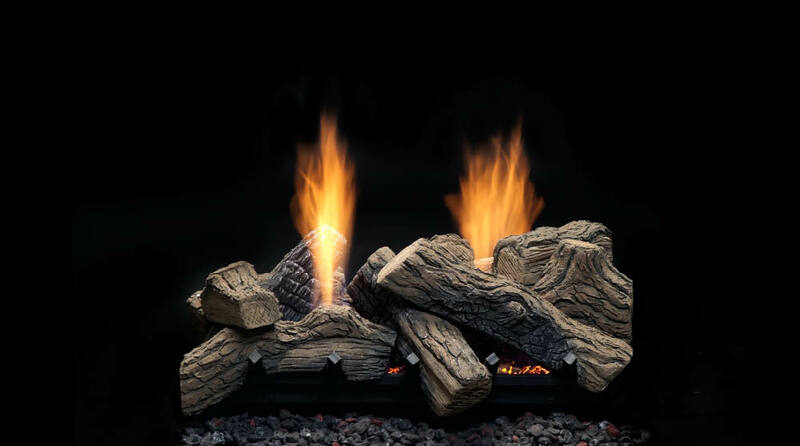 Gas log sets include: millivolt remote control gas valve with built-in adjustable flame heat control, Phazeramic® burner and logs with large charcoal embers, piezo ignitor, on/off switch, grate, andirons, damper clamp, 5 lbs. lava rock/cinders. 50% flame/heat adjustment for maximum comfort and efficiency. Certified in US to ANSI Z21.11.2. unvented room heaters and ANSI Z21.60 vented decorative appliances for installation in solid fuel burning fireplaces. Vent free gas log sets include: millivolt remote control gas valve with built-in adjustable flame heat control, oxygen depletion sensor (ODS), Phazeramic® burner and logs with large charcoal embers, piezo ignitor, on/off switch, grate, andirons, 5 lbs lava rock/cinders. 50% flame/heat adjustment for maximum comfort and efficiency. 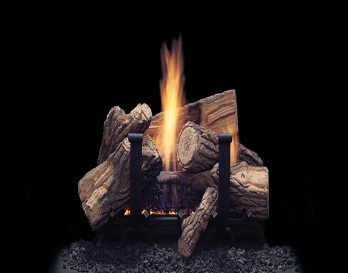 Suitable for installation as an unvented gas log heater OR vented decorative appliance. 8-piece Duzy 5 gas log sets from Majestic are an ideal way to bring warmth and comfort to your home. 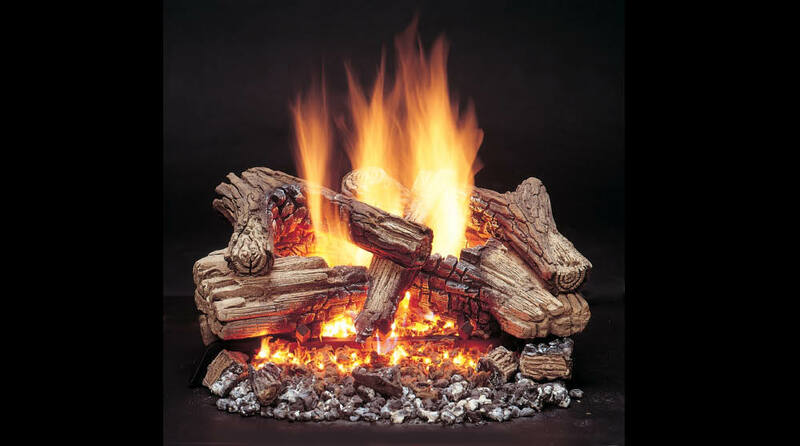 Their ceramic fiber design and included Natural Flame™ burner can generate up to 17,000 BTU of radiant heat. 4-piece Duzy 2 gas log sets from Majestic are an ideal way to bring warmth and comfort to your home. 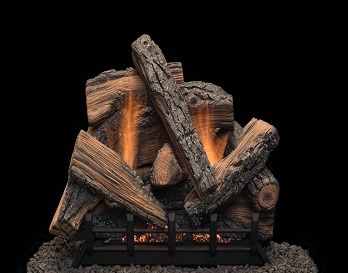 Their ceramic fiber design and included Natural Flame™ burner give off an inviting glow that adds a cozy accent to any room. 6-piece Duzy 3 gas log sets from Majestic deliver an authentic flame-viewing experience. Their refractory cement design and included Natural Flame™ burner give off an inviting glow that adds a cozy accent to any room.